If we think of life as a "terminal" condition, we are left with two basic conclusions: We will all die, and some of us will get very sick before we die. Our loved ones who get very sick often face financial destitution due to the high costs of long-term custodial care in a skilled nursing facility (SNF). At $8,000 to $12,000 a month, private pay takes most of us only so far before we are broke. Consequently, most patients in long-term "custodial" care in an SNF end up on Medi-Cal. Medicare is federally funded health insurance for the elderly and disabled. As such, it has no income or resource requirements to meet. If you are 65, or if your disability meets certain criteria, you will qualify for Medicare. Most people also secure supplemental insurance to help pay for Medicare deductibles and co-pays. Medicare coverage in an SNF is limited to "skilled" (versus "custodial") nursing or rehab services. Most of us don't get the full 100 days coverage because when we "plateau" or cease improving, care becomes custodial not rehab. A recent court settlement has eliminated the necessity to show continued improvement in order to get continued rehab services. Under a case called Jimmo v. Sebelius, it is only necessary to show that continued rehab services are necessary to maintain the current condition or prevent deterioration. 1.Google "Jimmo v. Sebelius Summary" access the Settlement Agreement Fact Sheet, and make a copy of it. 2.Take the copy of the Fact Sheet to the SNF administrator who told you your Medicare rehab services were about to end. 3.Give them the Fact Sheet and cite the following quoted language from the Fact Sheet -- "when skilled services are required in order to provide care that is reasonable and necessary to prevent or slow further deterioration, coverage cannot be denied based on the absence of potential for improvement or restoration". According to The Scan Foundation, there were over 102,000 Californians in skilled nursing in 2010. Their numbers will increase as the demographic tidal wave called "baby boomers" age. The 2017 Average Pay Rate for Medi-Cal patients in skilled nursing is $8,515 or more than $90,000 per year! Private pay by individuals not covered by Medi-Cal is even higher. Though most SNFs in California are Medi-Cal certified, some are not. If you run out of money in a Medi-Cal certified facility you cannot be evicted for converting to Medi-Cal. Such is not the case in non Medi-Cal certified facilities. Remember though, converting to Medi-Cal will mean you lose your private room, unless you and your family can pay the difference between the Medi-Cal rate (for a shared room) and the private room rate. Due to the high costs of custodial care in a Skilled Nursing Facility (SNF), Medi-Cal has become a primary source of funding for many of California's long-term care patients. Medi-Cal ("Medicaid" everywhere else!) is a "needs based" (or "means tested") federal-state partnership providing healthcare for folks unable to afford medical care. Traditional Medi-Cal planning focuses on three areas: (1) eligibility issues; (2) share of cost issues; and (3) estate recovery issues. Consequently, the goal of planning for long-term Medi-Cal for custodial care in an SNF emphasizes becoming eligible, paying as little as possible and avoiding an estate recovery by the state, often the Medi-Cal beneficiary dies. A recent implementation of "California Care" has shifted many low-income people into "expanded Medi-Cal". Interestingly, expanded Medi-Cal is not "means tested", meaning that your assets and money aren't relevant, your income is the primary determining factor. For disabled and sick people under age 65, California Care will also pay for custodial care in an SNF without the asset rules of traditional Medi-Cal. However, your estate can still be subject to a potential recovery claim when you die. You can review eligibility for expanded Medi-Cal if you google "California Care Eligibility Rules" and click on "California/Medicaid.gov". The principal residence can be a mobile home, duplex, 40-acre ranch or apartment complex, as long as it is, in fact, the principal residence. Interestingly, the term "residence" also includes all parcels of land directly adjacent to the residence. In 2006, the Federal Deficit Reduction Act created an "equity cap" on the value of the personal residence (currently "indexed" at $840,000). California has yet to adopt this regulation and thus the residence of any value is still exempt. This home equity limit will not apply if the person's spouse or minor, blind or disabled child is living in the home. Fortunately, the "value" of the residence will be either the tax-appraised value (which will be relatively low for long-time owners) or the appraised value of the home, whichever is lower. Also, the cap increases every year via the cost of living allowances. Remember, however, just because the home is "exempt" for eligibility purposes, does not mean it is protected from potential Medi-Cal recovery claims on the estate of the deceased Medi-Cal beneficiary. More planning is necessary! Sometimes otherwise non-exempt resources can be treated as "unavailable". Unavailable resources won't be counted against you for spend-down purposes unless and until they become available. One example would be a rental house that is considered non-exempt until it is put up for sale. Until it is sold, the property is "unavailable" and won't be the cause of eligibility problems. Another case of unavailability might be where co-owners of a fractional interest in real property provide a letter indicating their refusal to sell their interest. IRAs and qualified retirement plans held in the name of a single person, or the institutionalized spouse, will be considered "unavailable" so long as there is a "periodic" (at least once a year) "distribution" (payout) of "accumulated income and principal" (all interest actually earned and at least $1 of principal). Thus, virtually all retirement plans can be protected with proper planning. "Non-exempt resources" basically means everything else; i.e. whatever is not exempt or unavailable. This includes cash, stocks, bonds, mutual funds, securities, limited partnerships, deeds of trust, notes, and accounts receivable, cash values of certain life insurance policies, and so on. If an item is non-exempt, it may be subject to being "spent-down" on long-term care costs. Real property used as rental property, rather than for self-support or self-employment, is now also treated as non-exempt property. If an annuity was purchased prior to 8/11/93, the principal balance is considered unavailable if the person is receiving periodic payments (of any amount) of interest and principal. If an annuity was purchased between 8/11/93 and 3/1/96, and cannot be restructured to meet new federal and state requirements, the annuity will continue to be treated under the old rules. Medi-Cal will require written verification from the company or agent who sold the annuity that the annuity cannot be restructured. For annuities purchased on or after 3/1/96, a person must take steps to receive periodic payments of interest and principal. Payments must be scheduled to exhaust the balance of the annuity at or before the end of the annuitant's life expectancy. Any annuities structured to exceed the life expectancy will result in denial or termination of benefits because they will constitute a "gift" of non-exempt assets. Many annuities are marketed to family members as a way to "shield" someone's money. Annuities purchased by the applicant/beneficiary on or after 9/1/04, and which have a "contractual" payment at death to named beneficiaries, will not be subject to Medi-Cal recovery when the beneficiary dies after January 1, 2017. Unfortunately, there may be a recovery if the beneficiary died before January 1, 2017. The Deficit Reduction Act of 2005 also took aim at annuities. The DRA provides for the disclosure of annuity terms, and with certain annuities requires the State be named as the recipient of amounts payable after death. Other annuities will be exempted from DRA regulations: e.g. annuities that are irrevocable and non-assignable are actuality sound, and made fixed, equal payments with no deferral or balloon payments. Since 1990, there has been an effective 30 month look-back period in California designed to prevent gifting of non-exempt resources in order to prematurely qualify for Medi-Cal. Many gifting strategies have developed in efforts to work around this 30-month rule ("one-half a loaf" gifting, cumulative or stacked gifting, and so on). The DRA regulations will implement a 60-month look-back period! Remember, though, the 60-month look-back period is not the law until implemented by Department of Health Care Service (DHCS) regulations (which are not expected until 2018-2019). Asset gifting -- a topic filled with risk and peril. Many people who face the prospects of long-term care in a skilled nursing facility (SNF) want to know if and how they can gift assets in order to qualify for Medi-Cal. First off, you must be very careful and precise in analyzing "what" you are gifting: exempt assets or non-exempt resources. Remember, criminal prosecutions for elder abuse can be in store for cases of "gifting gone bad". APS and District Attorney are very aggressive in pursuing criminal cases where agents or trustees make gifts under Powers of Attorney and Trusts! If the Trust or Power of Attorney does not contain "express" (that means explicit) authority to gift, the agent or trustee may not gift period. "Exempt" assets (such as the principal residence, the car, personal property, jewelry and the like) are not defined by Medi-Cal as resources which are subject to a "spend down" before Medi-Cal eligibility can be established. Thus, such exempt assets can be gifted at any time, without impact on a person's Medi-Cal eligibility in an SNF. Indeed, that is precisely the reason not to be in a hurry to gift your exempt assets -- they can always be transferred after you achieve Medi-Cal eligibility in an SNF. Premature transfer of exempt assets puts you at risk for all of the liabilities and poor judgment of those you transferred the asset to. Plus, you may lose financial control of assets you may one day wish to sell and use for your in-home or assisted care (so that you don't have to go to an SNF!). I believe the best strategy for the transfer of exempt assets like the home is to put proper "pre-planning" in place. I am suggesting to many of my clients that they amend their existing estate plans by adding "Medi-Cal planning" language to their family trust and powers of attorney. 1. You are in a skilled nursing facility for a continuous period of at least three months (which correlates to the 100 day Medicare period). 2. Your treating physician states in writing that you are no longer mentally competent and are unlikely to be able to return to your home. 3. Your agents work with an elder law attorney who confirms that the transfers won't impair your Medi-Cal Eligibility (an increasingly challenging task, given complex transfer restrictions in Medi-Cal laws). 4. Any transfers made must be made proportionately to the then-existing beneficiaries of your estate plan. This way, you can have all the benefits of ownership up to the time you are in a SNF, and are not likely to be able to return home -- which sets up the likelihood of a large Medi-Cal recovery claim on your assets when you die. Your agent can then (and only then) transfer your assets in order to defeat the potential Medi-Cal recovery claim. Please note that as regards to the residence, transfers to your own revocable trust will avoid any Medi-Cal recovery claim. There is now no reason to transfer the home of a Medi-Cal beneficiary, so long as it is held in the name of the person's own revocable trust. Expensive and complex "irrevocable trusts" are not appropriate! Non-exempt resources are those assets that Medi-Cal expects to be spent on care before Medi-Cal eligibility in an SNF can be established: cash, stocks and bonds, bank accounts, investments such as life insurance with certain cash surrender values, rental property, notes secured by deeds of trust as well as unsecured notes and loans, certain annuities, cars, boats, motorhomes, and the like. Essentially, if not "exempt" or "unavailable", it is defined as "non-exempt", and subject to potential "spend down" and "look-back" gifting restrictions. When someone applies for Medi-Cal for the costs of care in an SNF, there is a question on the application: "Has anyone listed on this form transferred, sold, traded, or given away such items as those listed above in the last 30 months?" If you answer yes to this question you will have to provide additional information about the items. If you are referring to "exempt" items, a positive answer cannot cause any period ineligibility. The same is true if you transferred, sold or traded the item for fair market value. The problem also arises if you answered yes and transferred a "non-exempt" resource for less than fair market value, which made at least a portion of the transfer a "gift". A. THE MEDICARE CATASTROPHIC COVERAGE ACT. Since the late 80's, California law has dealt with such gifts under The Medicare Catastrophic Coverage Act (MCCA). MCCA, which is still in effect today, provides that transfers of non-exempt resources can result in a period of ineligibility, which is the lesser of : (A) 30 months; or (B) the value of the transferred items divided by the "average private pay rate" (APPR) then in effect in California (currently $8,515). EXAMPLE 1: If Mr. D transfers $16,000 to his son in January 2017, and applies for Medi-Cal in April of 2017, a transfer period will be triggered. The amount transferred ($16,000) is divided by the 2017 APPR ($8,515), and Mr. D will be subject to a period of ineligibility of 1.87 months. Since California does not count partial months, he will be ineligible for 1 month, running from the date of transfer (January 2017). Thus, Mr. D will not be eligible for January of 2017 but he would be eligible from February 1, 2017 on. EXAMPLE 2: If Mr. D transfers $8,000 to his son and $8,000 to his daughter in January 2017, each transfer is calculated separately. Each amount transferred ($8,000) is divided by the APPR of $8,515, and each gift results in an ineligibility period of .87 months (which rounds down to zero months). Since there are no "fractional" monthly penalties, Mr. D will be eligible for Medi-Cal in January of 2017 (this is an example of "aggregate" or "stacked" gifting). You should be aware, however, that there is an important exception to these "gifting penalties": you can transfer any amount of assets, at any time, to a blind or "disabled" child of any age (though you need to be careful when you have a child who is receiving SSI benefits!). Because of perceived problems with the gifting of non-exempt assets under MCCA, Congress passed the Omnibus Reconciliation Act of 1993 (OBRA93) in an effort to make Medicaid laws more restrictive. The "look back" period for gifts was extended to 36 months, and "aggregate", or "stacked", gifting techniques referred to in example 2 above were taken away. However, for reasons too complex to get into here, OBRA93 transfer rules were never enacted in California, and the less restrictive MCCA laws remain in place. - The look-back period is increased to 60 months, and any period of ineligibility will typically begin on the month of application. - Partial months of ineligibility may be assessed (the State will not "round down"). - All transfers made during the look-back period may be treated as one transfer to determine periods of ineligibility (aggregate or "stacked" gifting would be penalized). The DRA is not yet the law in California, and will not be until implementing regulations are enacted (probably 2018-2019). Until then, transfers of non-exempt assets will continue to be treated under the more liberal MCCA laws in effect since 1990. Currently, we do not anticipate that the DRA, when it is implemented, will be retroactive. Thus, transfers currently made under MCCA should not be subject to the more restrictive DRA until the State actually files the new DRA regulations with the Secretary of State. Bank employees and caregivers are now "mandatory" reporters of potential elder abuse. Powers of Attorney and Trusts contain inherent duties of loyalty under California law, "self-dealing" is a conflict of interest and is prohibited by explicit California statutes (unless "expressly" permitted in the document itself, which it rarely is!). Medi-Cal eligibility workers are often frustrated by transparent gifting designed to qualify a senior for long-term care Medi-Cal and are increasingly referring such cases to APS for an investigation into possible elder abuse. Bottom line: don't attempt "gifting" strategies without the timely advice of an elder law attorney. Otherwise, you may be playing with fire. CAVEAT: Many seniors have gifted assets prematurely, in order to be "ready" for Medi-Cal eligibility in long-term care, and are horrified to discover the difficulty "Medi-Cal ready" (i.e., poor) people can face in placement. It is more and more common for poor seniors to be placed on a waiting list, while the facility cherry picks rehab and private pay patients. Seriously, don't ever (that means never) gift without consulting an elder law attorney first! There are a number of exceptions to the general transfer rules. One exception states that an individual shall not be ineligible for Medi-Cal assistance if the transfer is made "for a purpose other than to qualify for medical assistance." Current California law is clear that all exempt assets, such as the primary residence, may be gifted without regard to the transfer rules. 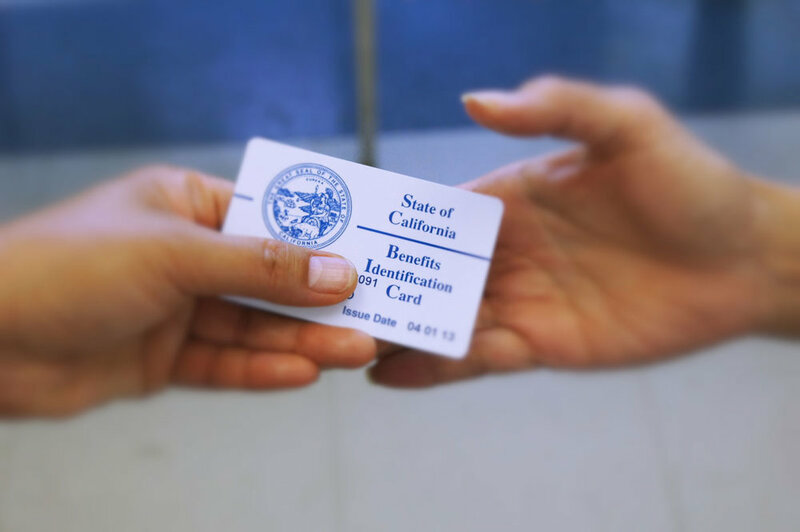 If a person already qualifies for or is receiving Medi-Cal assistance, it is logically inescapable that the proposed transfer is being done for a reason "other than to qualify for medical assistance" (Medi-Cal). The California Department of Health Services has accepted this argument in the past and has acknowledged in writing that no period of ineligibility will result from a transfer of a home when a right to return home is retained. One common strategy with an incompetent institutionalized person is to seek a court order transferring the person's home while retaining a life estate for the institutionalized person. This life estate not only protects the person's right to return home if he or she is ever able (although unlikely), it also provides compliance with the DHS transfer requires that the Medi-Cal beneficiary have a right to return home. The person's Medi-Cal support will not be affected by the transfer. Although gifts of residences are often discouraged because of adverse capital gains tax implications, there would be no problem in this case. The Medi-Cal recipient would retain a life estate, which is enough to include the asset in his/her taxable estate, which results in a new, stepped-up, tax basis at the death of the institutionalized person. This means the residence could be sold after the institutionalized person dies, with no capital gains taxes. Thus, a competent person can gift his or her home at any time, even if already on Medi-Cal in a skilled nursing facility. People who are no longer competent may still transfer the home if a family member petitions a Superior Court for an order authorizing the transfer. The key question is: should the court allow such an order? What rules must the court consider before saying yes to the transfer? The California Supreme Court clarified the application of these rules, Conservatorship of Hart, (1991) 228 Cal.App3rd 1244, 270 Cal. Rptr. 249. It held that the issue before the court in substituted judgment proceedings is not necessarily what the Conservatee would have done under the circumstances, but what a hypothetical prudent person would do. In most cases, it is clear that a prudent person would transfer the home to his or her intended beneficiaries when there are virtually no drawbacks to doing so, and almost certain loss to a Medi-Cal recovery claim if no transfer occurs. One particular aspect of discretion that needs to be addressed is whether or not the Court should authorize an action that will prevent DHS from recovering the value of benefits it has paid. The overriding standard in such cases is the best interest of the institutionalized person. The interests of public agencies and other potential creditors are not included among the considerations mentioned by the substituted judgment statute, are outside the scope of courts duties, and simply not relevant to the decision of whether to transfer the house! There is no meaningful difference between the transfer planning described here and transfer planning for tax avoidance. Petitions for substituted judgments are most commonly used for tax avoidance, and this use is specifically approved by Probate Code. Indeed, this line of reasoning has been followed by local courts in similar cases involving the transfers of residences. If wealthier citizens can use the assistance of the courts for tax avoidance, less wealthy citizens should be able to request the assistance of the court for legally authorized public benefits planning. Remember, the only reason that the matter would be before the court is because the person is incompetent. If he or she were able to execute a deed, they would certainly do so. If a court were to deny the transfer out of concern for the interest of the state, it would deprive citizens of their legal rights and planning opportunities solely on the basis of their disabilities. Under The Deficit Reduction Act, there will be an "equity cap" on the value of the personal residence which can be transferred. The DRA capped the amount of equity of the exempt residence at $840,000, with inflation adjustment. C. New Medi-Cal Recovery Laws effective January 1, 2017, Remember, however, that there has been a massive change in Medi-Cal recovery laws! Simply stated, having title to your principal residence held in such a way as to avoid "probate" under California law means there will not (as in never) be a Medi-Cal recovery claim on your home. That means transfers of your residence to others is no longer necessary. Simply hold title to your home in an old-fashioned, vanilla flavored, revocable living trust, and VOILA! -- No Medi-Cal recovery claim when you die. Life estates, fancy and expensive "irrevocable" trusts, and outright transfers to children are no longer necessary! Just see your elder law attorney, and do a simple trust! Once the property is categorized as either "exempt" or "non-exempt", there is a determination of property limits. For a single person, only $2,000 worth of non-exempt resources may be retained to qualify for Medi-Cal. This is not the case where a spouse enters long-term care. The "community spouse" (the at-home spouse) may keep up to $123,600 of the couple's combined community and separate property "non-exempt" resources as a "Community Spousal Resource Allowance" (CSRA). Unless the CSRA is increased by court order or fair hearing, the community spouse must "spend-down" to the $123,600 CSRA level. And yes, a spouse's inherited or previously acquired separate property goes into the pot for purposes of calculating the CSRA. Under the Spousal Impoverishment Protection Act, the community spouse may retain all of his or her monthly income, regardless of the amount, as long as it comes in his or her own name (this is the "Name of The Check" rule). There is also, however, another rule establishing a Minimum Monthly Maintenance Needs Allowance (MMMNA) for those community spouses with more limited monthly income. The MMMNA in California is currently set at $3,090 per month. The MMMNA is designed as a "level of dignity" so that a community spouse can retain sufficient income to avoid impoverishment. Like the CSRA, the $3,090 MMMNA amount may be increased by either court order or fair hearing under appropriate circumstances. 1. Remember that though the ordinary CSRA is set at $123,600, this amount can be increased by an Administrative Fair Hearing or a court order "against" the institutionalized spouse for the "support" of the community spouse. 2. Remember the MMMNA amount set at $3,090 per month? Applying this to Sally we see "her" income of $400 per month (under the "name of the check" rule) is woefully short of the $3,090 MMMNA. Sally is entitled to a court order "against" Bill ordering the entire $250,000 into Sally's name, as her sole and separate property, as her new increased CSRA. The rationale for the court order is this: (A) Sally's income of $400 is far below the $3,090 MMMNA;(B) Even when Bill's income ($1,400) is added to Sally's income, the result ($1,800) is still below the $3,090 MMMNA; and (C) All of the investment income ($500 per month) is necessary to bring "her" income closer to the $3,090 MMMNA. Since her total income is only $2,300 ($500 + $400 + $1,400 = $2,300), she is still below the $3,090 MMMNA. In a case like this, an Administrative Fair Hearing Judge would be required to increase the CSRA to $250,000. Now assume the roles are reversed, and that Sally has Alzheimer's disease. Bill could also justify a court order or a fair hearing increasing the CSRA to fully fund the MMMNA. What happens if either spouse has significantly more assets or income? The matter becomes much more problematical but still potentially doable. A. Spend down on various medical bills, debts, mortgages, loans and the like. B. Convert the non-exempt resources into exempt or unavailable assets, eg., by buying a new home or car, or purchasing burial plots, funeral plans and so on. You can also "fix-up" the residence by replacing the roof, putting in new carpets, etc. C. Make "cash" gifts (a course fraught with peril, see section on gifts). D. Purchase "immediate" annuities in the name of the at-home spouse. Remember, there is no limit on the amount of monthly income an at-home spouse can receive in his or she name, so long as he or she retains no more than the $123,600 CSRA (this strategy is not recommended with unmarried persons in skilled nursing facilities). If the annuity is actuarially sound and provides for fixed, equal payments, and no balloon payments, the State will not have to be named as a beneficiary under the DRA. For many years I have helped families find their way through the maze of Medi-Cal regulations and laws when a loved one enters a skilled nursing facility. There are two typical scenarios that often require me to go to court. 1. When an incompetent spouse enters long-term care we usually want a court-ordered transfer of assets (including the home) into the name of the at-home spouse. We do this to ensure the full use of the home as a resource for the at-home spouse. We also often seek an Order of Support to enable the at-home spouse to keep all of the income of the institutionalized spouse. 2. When a single person enters long-term care we often need to arrange for a court order authorizing the creation of a revocable trust to transfer the person's residence to the name of the trust. Otherwise, there will be a Medi-Cal recovery claim placed on the home when the person dies. Going to court is expensive and somewhat risky because these transfers are always in the discretion of the judges. On the other hand, clients are legitimately concerned about prematurely transferring their homes and assets to the children because of their fear of "potential" Medi-Cal recoveries if they end up in long-term care. I am suggesting too many of my clients that they amend their existing estate plans by adding, "Medi-Cal planning" language to their family trust and powers of attorney. The best explanation I have ever read regarding Medi-Cal Recovery regulations was recently presented by my friends at The California Advocates for Nursing Home Reform (CANHR). I present it completely, without any editorial comment. This material has been revised to provide guidance on the new Medi-Cal Recovery laws that are effective for those individuals who die on or after January 1, 2017. For individuals who die prior to January 1, 2017, the current recovery rules will apply. This material outlines applicable rules for the new law. If you have additional questions after reading this guide, please contact our office, or the CANHR office at (800) 474-1116, to speak with an advocate. Medi-Cal is California's version of the Medicaid program that is funded jointly by the state and federal governments. It is designed to provide free or low-cost medical assistance for low income or low-resource individuals. There are many different Medi-Cal programs, and eligibility may depend on factors such as age, disability, income or assets. Covered California is California's version of the Affordable Care Act's health insurance exchange. It is not a Medi-Cal program. Any tax credits or subsidies received through Covered California are not subject to Medi-Cal recovery. For the past 20+ years, California law has allowed claims on the estates of those who received any Medi-Cal benefits when they were 55 years of age or older, regardless of the medical services received or whether recipients were in a nursing home. After the Medi-Cal recipient dies, the state will send the heirs or survivors an "estate recovery claim" asking for payment for the amount of Medi-Cal benefits paid on behalf of the deceased individual. The state does not put a lien on the home and the state does not take away your home. The state will, however, try to collect, and, if you cannot get the claim waived and still cannot afford to pay, the state will negotiate a "voluntary lien." Requires the state to provide a current or former beneficiary or their authorized representative a copy of the number of Medi-Cal expenses that may be recoverable. Beneficiaries who were 55 or older when they received Medi-Cal benefits for nursing facility services, certain home, and community-based services (see the following list) and related hospital and prescription drugs. Beneficiaries who were under age 55, if they were "permanently institutionalized" in a nursing facility, intermediate care facility or other medical institution and for whom, after notice and opportunity for hearing, it was determined that they cannot reasonably be expected to be discharged and return home. Related hospital and prescription drug services provided to an individual while receiving nursing facility services or home and community-based services. Surviving Spouse/Registered Domestic Partner: Under current law (pre-January 1, 2017), there can be no recovery until after the surviving spouse or registered domestic partner dies. Then the state can recover from whatever was in the Medi-Cal beneficiary's estate that was left to the surviving spouse, partner or heirs by distribution or survival, i.e., community property, joint tenancy, or property left under a will. After January 1, 2017, if the Medi-Cal recipient is survived by a spouse or a registered domestic partner, a claim is prohibited and forever barred. However, if the surviving spouse or registered domestic partner also received Medi-Cal services subject to recovery, his/her estate can be subject to an estate claim after his/her death. Surviving Minor/Disabled Children: If the Medi-Cal recipient is survived by a minor child (under age 21), the state cannot recover, and a claim is forever barred. If the Medi-Cal recipient is survived by a disabled child of any age, the state cannot recover, and a claim is forever barred. The child does not need to be living with the Medi-Cal recipient or be an heir to the estate. This is current law and was not changed by the new statutes. The state can make a claim against your estate for the amount of the Medi-Cal benefits paid or the value of the estate, whichever is less. Under the old law, this means that the only way to avoid 8 recoveries is to have nothing left in the Medi-Cal recipient's name at the time of death. For those who die on or after January 1, 2017, recovery is limited to those estates that are subject to probate under California law. For example, assets transferred via living trusts, joint tenancies, survivorship and life estates will no longer be subject to recovery. Manufactured homes and mobile homes will also be excluded from estate recovery claims since they are not subject to probate in California. A will, however, depending on the value of the estate, is usually subject to probate in California. Example 1: Mindy died after January 1, 2017. She had a home (total value of $200,000) and left it to her daughter in her will. Medi-Cal paid $50,000 for Mindy's medical services. The state can recover $50,000. However, if Mindy had left the home in a living trust, joint tenancy, or any transfer that avoided probate, there would be no recovery. Example 2: Mindy left her home in the Mindy Moore Family Trust. Since this is a living trust and not subject to probate in California, there is no recovery. Property transferred prior to death -- no longer in the beneficiary's name. Property not subject to probate, e.g., living trusts, joint tenancies, survivorship, life estates, mobile homes, and other manufactured homes. Life insurance: You name one or more beneficiaries on your life insurance policy. Retirement accounts: You name a beneficiary on your retirement account(s). Unless the estate is the named beneficiary or it reverts to the estate. For life insurance and retirement accounts, always check to make sure you have named one or more living beneficiaries. Execute a Durable Power of Attorney with trust creation authority, gifting and real estate transfer clauses. Leave nothing in your "probate estate" when you die. Unless you are survived by an exempt individual, do estate planning to ensure that your estate will not be subject to probate. If receiving nursing home or certain Home and Community-Based Services, consider transfers. A Medi-Cal recipient can transfer any exempt property to anyone prior to death without impacting eligibility for Medi-Cal. Because Medi-Cal laws will be changing significantly on January 1, 2017, and there will be a number of low-risk estate planning mechanisms to avoid recovery, it is important to consider tax consequences and the risk of losing your home prematurely before any outright property transfer. One of the most frequent complaints from Medi-Cal beneficiaries has been the inability to find out how much in benefits have been paid on their behalf. As of January 1, 2017, a Medi-Cal beneficiary who may be subject to recovery, or their authorized representative, can submit a request to find out the amount of the Medi-Cal claim, for a fee of $5, once per year. If the beneficiary is enrolled in a managed care plan, the payments to the plan may be included in a lump sum format and not itemized by the services received. The new claim request forms and instructions will be available by January 1, 2017 on the Recovery Branch website at: http://www.dhcs.ca.gov/ services/Pages/TPLRD_ER_cont.aspx. It is the legal responsibility of the estate (spouse, estate attorney, executor, heir, or person in possession of the property) to notify the Medi-Cal Recovery Unit within 90 days of the person's death. Notifying the local Medi-Cal or Social Security office does not count as proper notice. The Recovery Unit in Sacramento must be notified. Tip: Get proof of mailing -- e.g., certified or registered mail. WARNING: A Medi-Cal Recovery questionnaire is usually sent to the heirs or survivors after the Medi-Cal recipient has died. This form requests information about assets left in the estate. Legally, there is no obligation to complete this form. You are only required to send a notice of death (a short note) and a copy of the death certificate. If there was property left in the estate that will be subject to probate, the estate representative may want to call CANHR, legal services, or seek the advice of an attorney before completing the form. 1. Check whether the heirs meet any of the exemptions on page 7, "Estate Recovery Exemptions." 2. Check whether any of the remaining property in the estate is exempt from an estate recovery claim under the heading, "What Property is Exempt from an Estate Recovery Claim?" 3. Review the itemization. Check for discrepancies on the claim from specific providers such as a pharmacy; contact the providing pharmacy to dispute the bill. In-Home Supportive Services (IHSS) - except certain Personal Care Services provided under one of the 1915(c) waiver programs. Cost of premiums, co-payments, and deductibles paid on behalf of Qualified Medicare Beneficiaries (QMBs), Specified Low-Income Medicare Beneficiaries (SLMBs), Qualifying Individuals, Qualified Disabled and Working Individuals, QMB Plus, and SLMB Plus who are categorized as groups of dual eligible as defined by Section 2602(f) of the Patient Protection and Affordable Care Act of 2010 (Pub. L. No. 111-148). If any of these are on the claim, contact the Recovery Collection Unit representative to correct the error. 5. The claim may be reduced by deducting funeral expenses, estate settlement costs, and attorney's fees. If the heirs or survivors or the estate does not meet any of the above exemptions, they should check to see if they qualify for a hardship waiver -- such as the caregiver or homestead of modest value criteria. If the heirs meet the criteria, the claim must be waived. Tip: Call CANHR at 1-800-474-1116 for more information about hardship waivers. If you do not meet any exemptions and are not eligible for a hardship waiver, the claim must be paid. Do not ignore the claim. If the claim is ignored, the state will send the claim to the Attorney General's office, which will file a lawsuit. 1. The heirs can take out a low-interest loan or equity loan on the property. 2. If no exemption or hardship waiver is available, the heirs can request a voluntary lien. In addition to the placement of the lien, the department will require monthly payments, based on the heir's ability to pay. In the past, these "voluntary" liens accrued interest at 7% annually. As of January 1, 2017, interest on these liens is capped at the annual Surplus Money Investment Fund interest, (http://www.sco.ca.gov/ard_yiel... rates.html) which is approximately 0.543%, or simple interest of 7%, whichever is lower. Remember: The new laws are effective for those individuals who die on or after January 1, 2017. If your loved one died prior to that date and their estate may be subject to recovery, contact our offices, or CANHR, for information on how to deal with an estate recovery claim if you receive one and, for others, how to avoid a claim in the first place. My thanks to CANHR for the above "recovery" analysis! I have three general observations on the "morality" of planning for Medi-Cal. under the Tax Code? Probably none of us! Why should planning for the protection of our assets be morally different under either the Tax Code or Medi-Cal laws? Both sets of laws exist as social policies of our government. Next, ponder the fact that our federal health care insurance system (Medicare) refuses to cover prescriptions, or "custodial care" in convalescent hospitals. The result is gross discrimination against elderly women, who tend to live longer than men and therefore suffer more chronic diseases. Unlike men, whose more common "acute" life-threatening illnesses are covered by Medicare, women face higher disease rates and lower death rates. As a result, women are hardest hit by a Medicare system that refuses to fund prescriptions and long-term custodial care. Elderly women especially must look to Medi-Cal planning for protection against impoverishment. Finally, it strikes me as absurd that whether an elderly American is insured for illness depends on whether the illness is "politically correct"! Heart surgeries, catastrophic injuries, renal failure, and cancer, are all diseases that can cost countless thousands of dollars to treat. Under what rational basis do we say to these people "you have the right disease, you're covered", and then turn our backs on those afflicted with Alzheimer's, ALS, and stroke or broken-hip induced custodial care? We need a rational, comprehensive, national health care system. In the meantime, we need to make sure that our senior citizens have the fullest protection of the laws. In California that includes a thorough understanding of how Medi-Cal might fund long-term custodial care. The above analysis is just the tip of the iceberg in terms of options and strategies involved with Medi-Cal planning. Not included is an analysis of the ethical burdens and responsibilities of the attorney, or the appropriateness and personal consequences of Medi-Cal planning. The focus of this article is simply this: to ensure that when someone you know is faced with prospective entry into a long-term care facility (regardless of their assets! ), you can make them aware of the possibility of planning for Medi-Cal and can then get them to an Elder Law attorney!